Integrate Facebook and any other lead generation source with MailUp in real-time. Sync your lists or groups with Facebook custom audiences to retarget, upsell or exclude them from your offers. 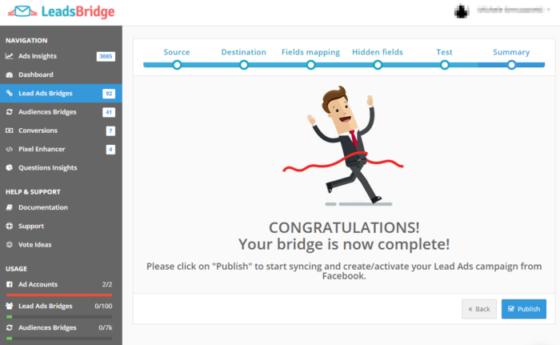 LeadsBridge is the go-to marketing automation platform for lead generation. LeadsBridge integrates over 190 solutions and provides a top-notch support service to help marketers avoid any flow interruption.